“The future of migrants arriving in the country must concern not only Greece but all the European countries,” said Archbishop of Athens and All Greece Ieronymos during a meeting with a delegation of German members from local Parliaments, the General Secretary of the Churches’ Commission for Migrants in Europe (CCME) and other officials, hosted by the Greek Orthodox Church’s Refugee and Migrant Center. 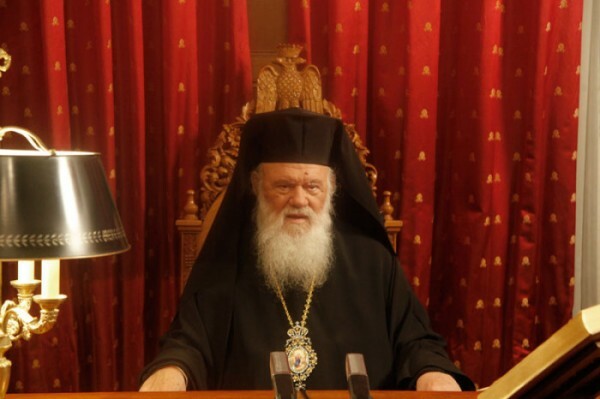 The Head of the Greek Orthodox Church claimed that the refugees arriving at the European borders should be hosted not only by Greece but by all the other EU countries as well, proportionally to the population of each. He also expressed his opinion about the illegal immigrants, noting that they suffer because of Western World’s actions. “We ourselves, with our actions, forced these people to abandon their homelands and now they are treated like sheep for slaughter,” he said.